Attorney Thomas F. Torr is a founding partner of Cocheco Elder Law Associates, PLLC, and a native of the New Hampshire seacoast area. His practice is dedicated to building wealth enhancement strategies for his client families' estates and businesses, using far-reaching, advanced planning to achieve preserved wealth for generations. His firm's priority is its relationship with its client families and their personal, professional and estate goals. Mr. Torr is a member of both the New Hampshire and Maine Bars. He is admitted to practice before all courts, state and federal, in both New Hampshire and Maine. Mr. Torr’s practice includes elder law, Veterans and Medicaid planning, estate and wealth transfer planning, incapacity protection, asset protection planning, estate and trust administration, disability planning, special needs trusts, retirement asset planning, business law and real estate. Mr. Torr is a frequent lecturer on basic and sophisticated estate planning topics. He has authored articles on a variety of topics related to business law, sophisticated asset protection, estate planning and probate administration. Mr. Torr is often asked to be a guest speaker at community and professional seminars dealing with estate planning topics ranging from guardianships to complex estate planning. Mr. Torr was a weekly guest host of the radio show, “Money Matters,” for more than 10 years on the Money Matters Radio Network. He is currently a guest host of “Open Mic" with Mike Pomp on WTSN AM-1270 at 9:00 am on the 1st Friday of each month. Mr. Torr received his B.A. degree from the University of New Hampshire and his J.D. from Ohio Northern University. 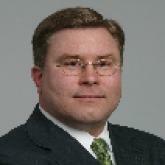 He is a member of the National Academy of Elder Law Attorneys and the New Hampshire Estate Planning Council. He serves on the Board of Directors of the Wentworth Douglass Hospital and Health Foundation as well as the Planned Giving Advisory Committee, Advancement Committee, and By-Laws Committee of the Foundation. Mr. Torr is the past president of the Rockingham County Bar Association as well as a former Director and Executive Board member of the Derry Economic Development Corporation and an Incorporator and Executive Board member of the Community Alliance for Teen Safety (CATS). Mr. Torr can be reached by phone at (603) 749-1300 or email at tom@cochecoelderlaw.com. Tom is an experienced attorney who has saved many families and business owners considerable sums by advising them on estate planning and business entities. Tom helps clients to protect their assets and provides peace of mind to them in knowing their family and business affairs are in order. The entire team at Cocheco Elder Law, PLLC is committed to providing the highest quality of legal services in a caring manner to make the process of planning as easy as possible for our clients. CONTACT THOMAS F. TORR ESQ. Tell us about your special needs issue and we will put you in touch with Thomas F. Torr Esq.